The unofficial gay and lesbian summer beach resort of the Mid-Atlantic states, charming Rehoboth Beach is situated along a sweeping, sandy stretch of the Delaware shore that’s within a three-hour drive of Washington, Baltimore and Philadelphia. Over the past decade, many of the town’s guest houses, shops and restaurants have received stylish makeovers, and this once low-key, largely middle-class town has developed a see-and-be-seen cachet that extends well beyond nearby cities. Prices have risen, too, but Rehoboth largely retains a laid-back, welcoming vibe that makes it a perfect destination for summer fun, and a romantic weekend retreat during the quieter spring and fall shoulder seasons. The town began developing a subtle gay following in the ’50s, probably owing to the fact that closeted Washington types, unable to risk braving the nightlife of D.C., found this relatively secluded beach region a relatively safe and anonymous place to be themselves, or at least test the waters. 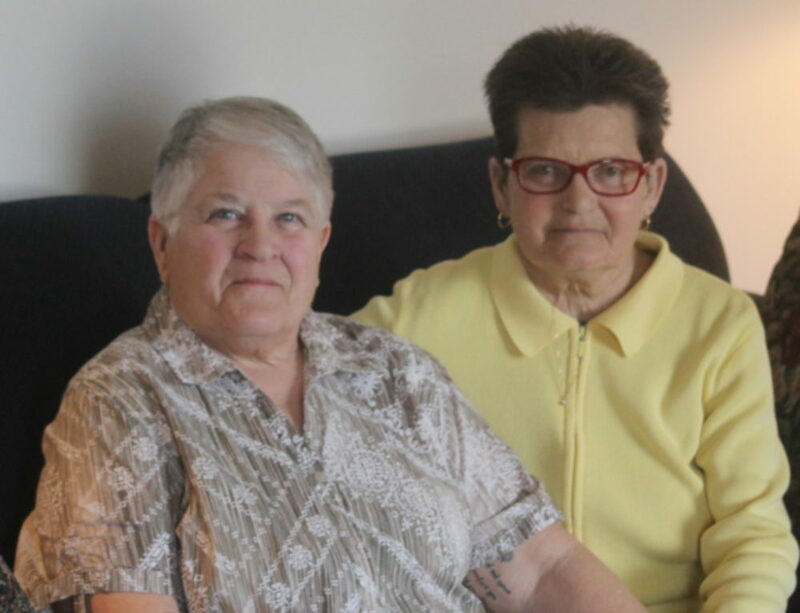 Lesbians and gays continued to settle here gradually, and then Glenn Thompson opened a full-scale gay resort, the Renegade, on the western outskirts of town in 1980. Soon after, the Blue Moon restaurant and bar opened downtown. Nowadays, Rehoboth http://www.beach-fun.com for general tourism info; http://www.camprehoboth.com for details on the GLBT scene teems with gay-owned or – oriented businesses, including cafes, restaurants, bars and about a dozen guest houses. Although the Renegade was razed in 2002 to make way for condos, the Blue Moon is still a first-rate place to dine and socialize. Although an increasing number of trendy, urbane businesses have opened here in recent years, Rehoboth’s beachfront is still lined with a bustling, honky-tonk boardwalk of saltwater taffy parlors, video arcades and souvenir shops. Many visitors spend afternoons catching rays at the beach. The largely gay male section, known as Poodle Beach, runs from about St. Lawrence to Penn streets, at the southern tip of the Boardwalk. Women sunbathe here to some extent, but more lesbians and a fair share of gay men flock north of downtown to the beach at Cape Henlopen State Park (aka “North Shores” – about a 20-to-30-minute walk or 10-minute drive via Ocean Drive). 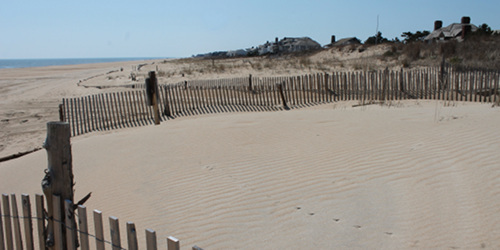 You can also access other parts of Cape Henlopen State Park by driving 10 miles north (via Rte. 1 and U.S. 9) to the charming and historic town of Lewes, and accessing the park from Dunes Road. Lewes itself is a lovely Dutch colonial town founded in 1631, with a neatly preserved downtown of tony shops and inviting restaurants overlooking a beautiful, narrow yacht harbor – it makes a great little day trip, by car or bike. Top-notch, gay-popular restaurants in Lewes include The Buttery http://www.butteryrestaurant.com, which occupies a romantic Victorian house with a large veranda, and Cafe Azafran http://www.cafeazafran.com, a Spanish-inspired tapas bistro open for breakfast, lunch, and dinner – there’s a branch in Rehoboth, too. Another popular daytime diversion is shopping. Rehoboth Avenue, the main drag, has plenty of fun retail as well as a few galleries. A block over, Baltimore Avenue is the hub of the town’s gay scene, home to a few boutiques, home-furnishing emporia, and the small but well-stocked Proud Bookstore, which carries GLBT books and gifts. Delaware has no sales tax, and out on Route 1 you’ll discover a bounty of outlet shopping centers. Back in town, take a break from browsing to grab a delicious lunch (maybe the best chicken salad sandwich you’ll ever taste) at Lori’s Cafe http://www.lorisoyveycafe.com, or enjoy a snack or a latte at the Coffee Mill http://www.coffeemillrehoboth.com, a cheerful coffeehouse. Rehoboth has an excellent dining scene, and several trendy newcomers seem to open each season. On the high end, the superb Blue Moon http://www.bluemoonrehoboth.com – site of the gay bar of the same name – turns out high-caliber contemporary American fare, like Maine lobster spaghetti and stout-brined Berkshire pork chops. Down the street, trendy Aqua Grill http://www.aquagrillrehoboth.com serves eclectic and reasonably priced international fare – Thai-mango-chutney burgers, coconut shrimp, pot stickers – and then morphs into a fantastic gay video and dance bar, with a sprawling patio, as the evening proceeds. Drag brunches and T-dances are part of the fun on weekends. In the same neighborhood, Mixx http://www.mixxrehoboth.com is another high-energy, stylish restaurant and bar with a strong GLBT following, excellent food (macadamia-crusted local rockfish, seared scallops), and a see-and-be-seen cocktail scene – there’s live music some evenings. Another hip spot where you’ll see plenty of family, Espuma http://www.espuma-restaurant.com serves contemporary Spanish and Mediterranean fare, including great lobster paella. And don’t miss the casual Purple Parrot http://www.ppgrill.com, a good bet for burgers and diner fare; it’s a lively hangout for drinks and conversation, too, with a popular happy hour each day. Other notables include the Seafood Shack http://www.seafoodshackrehoboth.com, which serves tasty fried-oyster po’boys and tender crab cakes and is known for its live entertainment, which includes piano, female vocalists, and acoustic bands. Dos Locos http://www.doslocos.com is a great standby for Mexican food and cocktails. The ornately furnished, Asian-inspired Planet X http://www.planetxcafe.com scores high marks for its creative cocktails and unusual vegetarian and organic fare, from tofu sate with ginger-peanut sauce to grilled ahi fillet with asparagus, scallion herb salad and lemon aioli. Dogfish Head Brewing & Eats http://www.dogfish.com is one of the most esteemed craft breweries in the country – it’s a fun place to sample a flight of unusual beers (Chicory Stout, Positive Contact Wit-style beer, Chateau Jiahu – which is brewed with rice from an ancient Chinese recipe), and the kitchen serves tasty modern pub fare, too. For cocktails and entertainment, most folks drop by the lounges at local restaurants to socialize before or after dinner, with the aforementioned Blue Moon, Mixx, Aqua, and Seafood Shack among the favorites. Early in the evening, a lot of lesbians and gay guys head to the Frogg Pond http://www.thefroggpond.com tavern for karaoke and conversation, or nearby Rehoboth Ale House http://www.rehobothalehouse.com, which has live music some evenings and drag brunch on Sundays. If you’re into the leather-and-Levi’s scene, be sure to check out the Double L Bar http://www.doublelbar.net, which has a patio, two pool tables, and a cruise-y vibe. Rehoboth has no shortage of appealing, atmospheric accommodations. Among the top guest houses, the Lighthouse Inn http://www.lighthouseinn.net is an attractive 1904 house that’s steps from the beach and has light-filled, nautically themed guest rooms with gas fireplaces, refrigerators and TVs with DVD; the top-floor rooms are especially romantic and roomy, and a separate two-story cottage sleeps up to four. Rehoboth Guest House http://www.rehobothguesthouse.com, which is two blocks from the beach and steps from Baltimore Avenue nightlife and dining, is a vintage three-story inn with clean, basic rooms, a friendly and helpful innkeeper and some of the best summer rates in town. The simplest rooms, which share a bathroom, start at just $120 midweek in high-season, a bargain considering the location and lovely grounds and sun decks. Other good bets include the spacious, spotless and contemporary Cabana Gardens B&B http://www.cabanagardens.com, whose rooftop sundeck is one of the best in town; the Silver Lake Guest House http://www.silverlakeguesthouse.com, a large and luxurious property with great views of the lake after which it’s named and close proximity to Poodle Beach; and century-old At Melissa’s B&B http://www.atmelissas.com, an inviting six-room inn in a leafy residential neighborhood close to the beach and restaurants – it’s a nice option for LGBT families, as one room has a king and bunk bed, and another has two queen beds. The Royal Rose Inn http://www.royalroseinn.com is right in the heart of Baltimore Avenue’s gay scene and has seven charming and attractive rooms, plus a rooftop hot tub and sundeck. Perhaps no property in town draws more praise for its colorful personality (and high camp factor) than the lesbian-owned Bewitched and Bedazzled B&B http://www.bewitchedbnb.com, a decadent 13-room property that consists of two neighboring houses. One is playfully furnished as a tribute to the ’60s TV classic “Bewitched,” and the other pays tribute to the glamour of Hollywood, with dozens of autographed photos of movie stars. Another romantic option, the Canalside Inn http://www.canalside-inn-rehoboth.com overlooks the historic Lewes-Rehoboth Canal and offers 12 elegantly outfitted rooms done in cheerful, pastel hues. It’s a 20-minute walk from the beach, as is the spacious, well-kept Shore Inn http://www.shoreinn.com, a mostly male 14-room resort popular for its festive pool, deck and hot tub. Guys on the make should try the clothing-optional Ram’s Head http://www.theramshead.com, which is a 15-minute drive from the beach and caters largely to butch leather-and-Levi’s types. If you’re partial to larger, more anonymous mainstream properties, Rehoboth has several chain hotels, including Hampton Inn, Holiday Inn Express, and Comfort Inn out on Route 1. But to fully experience the bustle and charm of this increasingly hip and trendy gay getaway, try to book a room in town and spend as much time as possible wandering the boardwalk, beach and quiet residential streets, places where the authentic Rehoboth springs vibrantly to life.